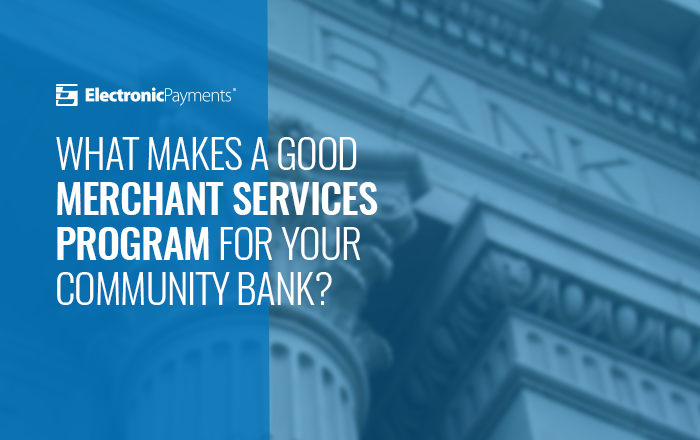 In our visits with community banks, we’re frequently asked, “What makes a good merchant services program?” It never ceases to amaze how large of a divide exists between banking and merchant services, especially when they both compliment and add tremendous value to the other. All too often, we see that community banks do not have an actual relationship or rapport with their merchant services provider; both entities are used as a means to an end, and neither receive the maximum benefit of a true partnership. Electronic Payments has seen the financial institution-merchant services relationship from nearly every angle. Oftentimes, the misalignment starts when the relationship is first established. This can be for a variety of reasons; perhaps there was not adequate time dedicated to vetting the bank’s needs and objectives; perhaps the processor’s dedicated contact has disappeared; or perhaps there are unidentified stagnancies, such as dated technology or a lack of marketing support. This is why Electronic Payments always encourages our bank partners to analyze their current merchant services program (and partnership) to ensure it is running optimally. If we don’t collectively keep checks and balances, how do we know what is driving your program and reach our mutual potential? Below are some helpful questions that will come in handy when evaluating your own program, and selecting the ideal merchant services partner. 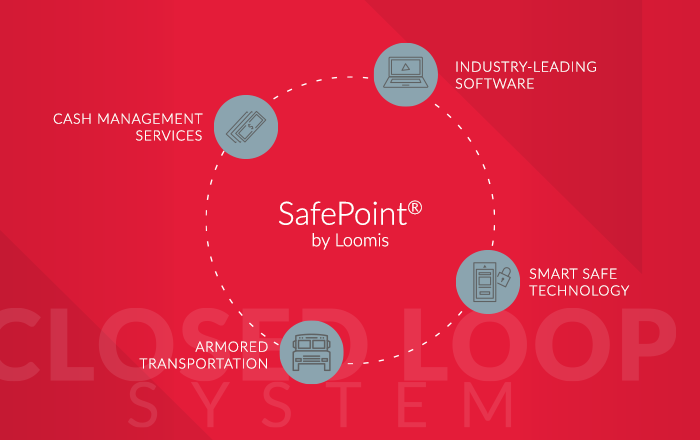 Does your merchant services partner bring real value to the relationship? From support and training to products and revenue, there should be no question as to whether your processing partner increases the overall value of your offerings and serves as an extension of your team. If your clients are on hold for 30-60 minutes to speak with a support representative, then your employees may be pressed to resolve issues just to prevent collateral damage on your other banking concerns. At the end of the day, your merchant services partner should be creating opportunity and increasing value, not causing more work and hindering growth. Is your merchant services partner sensitive to your reputation? A true partner should always prioritize reputational awareness; unfortunately, this isn’t always the case. If you’re not confident as to whether your merchant services partner is safeguarding your brand, take note of their practices. Does the representative dress appropriately? How responsive is the rep after the sale? Do they return phone calls and emails to YOUR clients, or do they become invisible? Are they adding fees and charges, or changing client terms to their benefit without reason or proper notice? Both parties should operate with the other’s best interest in mind; a merchant services provider should heed a type of Hippocratic Oath on behalf of their bank partner: First do no harm. In any merchant services relationship, the bank (and their customers) comes first, not second, to the needs of the processor. Aren’t all processors the same? Just as there are many kinds of financial institutions with varying specialties, there are many types of processors, and not all will be a good fit for your institution. We suggest sticking to what you know, and finding a merchant services provider who is adept in your market. For example, if your bank focuses on business to business sales, identify partners who are equally strong in the B2B market as opposed to restaurant or online sales. This weeds out some of the processors who do not have the experience or capabilities you’re seeking. How do I determine which merchant processor is a good fit for my organization? When evaluating processors, you will find everything from one man shops to multinational corporations, sales offices to actual processors. We understand how overwhelming it can be to assess your options; that’s why we’re here to help identify your needs, goals, desires, and resources. Sometimes, it’s just a matter of asking the right questions to uncover pain points and your most valued assets. For example, is your institution better off managing portions of the process internally, or would you like to utilize an outside sales rep? Additionally, acquisitions happen in the merchant services arena just like the banking community. How likely is it that the processors you are speaking with will be around in 2 years, or 5 years? A merchant processor shouldn’t expect you to know everything about the trade, so let them educate and guide you through the process. Does the size of the processor matter? We strongly encourage banks to pay special attention to the size of the processor, and correlate that with the size of your institution. As we all know, up to a certain point, size can enable you to provide service and opportunities that smaller competitors cannot match; however, when an organization gets too large, they oftentimes become bureaucratic and heavy-handed. Would that be a good match for you? Our common sense rule is to partner in such a way that your volume is important to your partner. If the other company won’t notice whether or not you’re writing business, then that may not be a good match. For both parties to receive the maximum benefit of the relationship, both sides must be needed! Is Electronic Payments the perfect partner for your institution? Maybe or maybe not, but we are happy to have the conversations required to help make these assessments. Electronic Payments is well-positioned to serve the community bank market. We are privately owned and operated, and are the 34th largest processor in the county. We currently process over 150 Million transactions and $10 Billion annually. We like to say that we’re large enough to provide the proprietary tools, technologies and resources bank’s need to grow and scale, but small enough to offer the in-house, 24/7 triage-based support and service banks and their clients expect. Regardless of whether you are looking to develop a new merchant services program or evaluate your current program, we’d love the opportunity to connect and learn more about your institution. To analyze the effectiveness of your merchant services program, contact Robert Stanley, Director of FI Relations, at 800-966-5520, ext. 212 or Robert.Stanley@electronicpayments.com. To learn more about Electronic Payments, visit www.electronicpayments.com/fiprograms.